How Often Should A Timing Belt Be Replaced? The timing belt on your car, van, truck, or any vehicle for that matter, does a very important job. But because it’s something which only needs to be replaced every few years or so, it’s a job which can be easily overlooked. That could be a big and costly mistake. Because the job of a timing belt is, essentially, to keep a number of important parts moving in synchronisation, if it fails the consequences can be immediate. So in this article, we’ll look at the vexed question of how often you should replace your timing belt - and hopefully, armed with this knowledge, you’ll know when it’s time to start shopping around for timing belt replacement quotes. The timing belt keeps a vehicle’s camshaft and crankshaft turning at the right speeds relative to each other. The crankshaft moves the pistons up during the engine’s compression and exhaust cycles, while the pistons move down in the power and intake cycles. In some vehicle makes, the timing belt also operates the water pump, oil pump and injection pump. So it’s easy to see what an important job this pretty small piece of apparatus does. So what can go wrong? If the timing cycle is not correct, fuel may not enter the cylinder or could escape through an open exhaust valve, so leading to problems with your vehicle’s performance and economy. If the valves are not fully closed during compression, the majority of the engine’s power will be lost. Why Does A Timing Belt Need To Be Replaced? All the parts which are moving inside your vehicle’s engine in order to produce the power which moves it are like a mechanical ballet performance. They need to be kept working in synchronisation - and inside an engine this can mean margins of a fraction of a second. Otherwise, unwanted forces are put on parts which might not be able to take the stress, and, in extreme circumstances, can snap or break. And because this can all happen with tremendous force, that means all that energy has to be dissipated somehow - if it happens to be through the casing of your vehicle’s engine, the damage will be considerable, and the cost of putting it right, therefore, likewise. Timing belts are more often than not made out of very strong rubber. This is designed to absorb and be able to operate under tremendous stresses. But over time, its ability to do this is compromised. Rubber will, however gradually, deteriorate as time passes, and a timing belt made of rubber will lose its tautness. When this happens, the tiny intervals between the various actions which it helps control become more difficult to keep in sync. The result, at the very least, is a reduction in the performance of your engine. But ultimately, you’re running the risk of this lack of synchronisation getting steadily worse, and falling victim to the consequences as outlined earlier. The Key Question - How Often to Change Cambelt? For many years, the key question was: “At what mileage should the cambelt be changed?” And the rule of thumb was every six years, or 60,000 miles, according to replacement car parts supplier to the trade, Meineke. But with the new reality of vehicles being subjected to huge variations in their amount of use (and abuse), coupled with improvements in engine technology, some say that interval can be increased to up to 100,000 miles. That, of course, brings with it a huge risk. To start with, if you buy a car second-hand, you’re never going to know what kind of use it’s been subjected to, and whether that has contributed to the timing belt suffering excessive wear. The reading on the mileometer only tells you a tiny fraction of the story, but unless you’re a trained mechanic, it’s quite easy to miss other signs which might suggest that an engine - and so the timing belt too - have been treated harshly, so possibly storing up problems which you can’t readily anticipate. Your best bet is to check your owner’s manual, as this will contain the advice as it applied at the time your car was built. 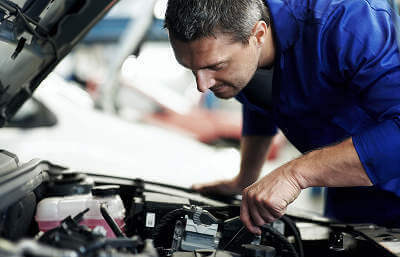 Volkswagen has issued specific advice covering all its vehicles, which says that all those registered after 1 September 2009 (so in the UK those with a 59-reg plate and later) should be subjected to a timing belt replacement every five years. Yet at the same time, it says that those vehicles with an 09 plate or older need to have a replacement timing belt every four years. Our recommendation at MyCarNeedsA.com is to firstly check your vehicle’s owners’ manual - assuming you can find it. If not, you might do best to consult the website of your car’s manufacturer. Failing this, your dealer should be able to help. The best dealers will let you know if or when they replace a timing belt when they have serviced your car. But the long service intervals recommended for many modern cars is a double-edged sword, and the job of fitting a new timing belt might easily slip through the net. So we recommend that you look up what your manufacturer says - it will be in your owner’s manual, whether you have a paper copy or can look it up online. What If I Bought My Car Second-Hand? First up, check through the paperwork you were given when you took delivery. An important job such as fitting a replacement timing belt should always be flagged up, and ideally the receipt showing details of what was done and when be kept. If not, the garage or individual who sold it to you insisted a new timing belt had been fitted, you can ask whether they can prove it. If they can’t you’re safest to assume that a cam belt has to be replaced every four to six years. So work out how old your car is, and divide the number of years by four. Age of car = 8 years old, divided by 4 = 2 - get some timing belt replacement quotes. 5 years old, divided by 4 = 1.25 - Check - do you know/can you find out whether the car had a replacement timing belt when it was four years old? If not, look into getting a replacement timing belt ASAP! Having a replacement timing belt fitted according to schedule might not make an appreciable difference to the running of your car, but it will protect you against a possibly crippling repair bill. So it’s especially important to be aware of the timing belt replacement interval which applies to your car if you rely on it for daily use. When you need timing belt replacement cost quotes for your car, you can get them quickly and without any fuss by registering with MyCarNeedsA.com, and posting a request online. You can then choose who you want to fit your new timing belt on the basis of the price quoted, their location, or reviews posted by other users of our service. What Does A Car Timing Belt Tensioner Do?